I know some of us know about Ubuntu while some did not, so what is Ubuntu itself? Ubuntu is an open source software operating system that runs from the desktop, to the cloud, to all your Internet connected things. It is distributed by Linux and offered in three official edition such as; Ubuntu Desktop (Used for personal computers), Ubuntu Server (Used for servers and the cloud) and Ubuntu Core (Used for Internet things). You have to put it in mind that Ubuntu is also an operating system just like windows and linux. 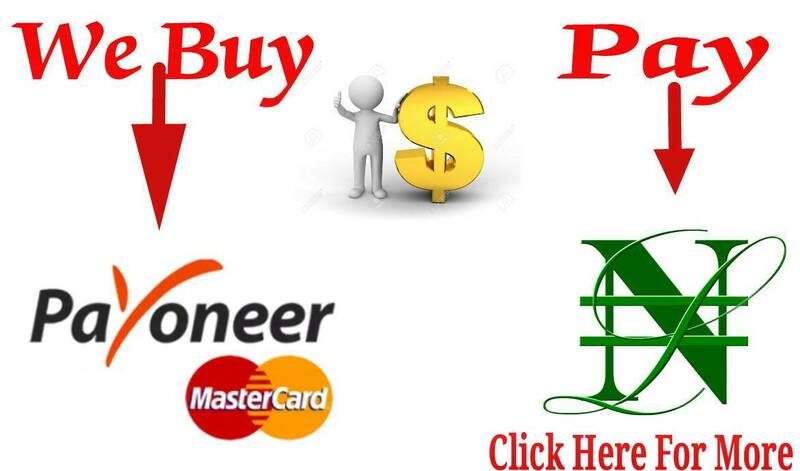 To upgrade ubuntu OS (Operating System) is very easy because you don need to reinstall another OS , only what can happen at this stage is when you are running an LTS version in which you will be only allowed to offers a new LTS version, you can set it as default settings and you can also change it, is left for you at this point. When upgrading your PC Operating System, you have to be very conscious of you personal files, data or information because it can get lost when you continue upgrading your OS without backing it up so i recommend you to back up your files when upgrading your OS. The tricky part of Ubuntu is that once you want to upgrade your OS, you can only upgrade from the older version to the next latest version, for example if you are on Ubuntu 17.04 and you want to upgrade to the newest version which is 18.04 LTS (Long Term Service), you will first if all upgrade you Ubuntu 17.04 to the next latest which is 17.10, after you have upgraded to that, upgrade that 17.10 again until you reach the newest which is 18.04LTS, I hope you are getting me right? On a normal level, the standard releases of Ubuntu offer to upgrade you to new standard releases but for LTS (Long Term Service), Ubuntu offer to upgrade you only to new LTS releases, that's just the ish concerning LTS. For instance, if you installed Ubuntu 18.04 LTS, you won’t be offered an upgrade to Ubuntu 18.10 when it’s released, only what you can enjoy is that you will just be offered an upgrade to Ubuntu 20.04 LTS when it's available and it can be changed if you want to. >>Click on “Activities” button (in GNOME Shell) but if you are in unity, tap the "Ubuntu logo" button at the top left corner of your screen. >>Click on “Software & Updates” shortcut. >>Select either “For any new version” or “For long-term support versions,” depending on which type of update you want. >>Once you are done, Click “Close". If any latest Ubuntu update is available, the Standard Software Updater tool may inform you about the new release, it depends on how you set your Standard Software Updater but if the software updater doesn't alert you, you can as well check manually. 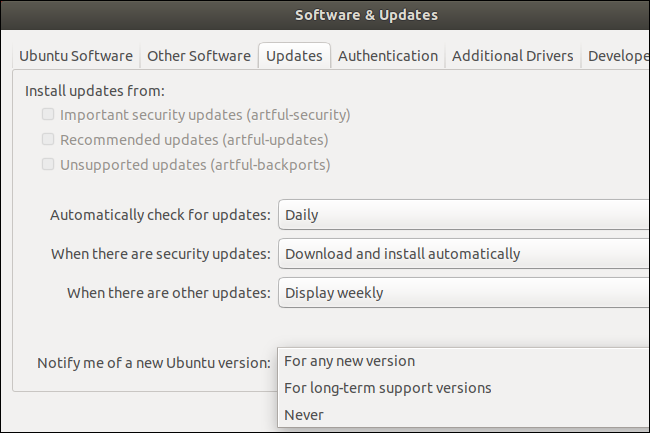 >>A dialogue box will appear then type the following command below and click "Enter"
>>Once you click on enter, the software updater tool ought to alert you telling you that the latest version of Ubuntu is available, so once it informs you that there is an update, Just click on "Upgrade" then the upgrading start in few seconds. That's all about the Graphical method, the next method to look into now is the Terminal method. If you didn't type that command to ensure that the package is installed on your system, the command you want to use in upgrading might not work. 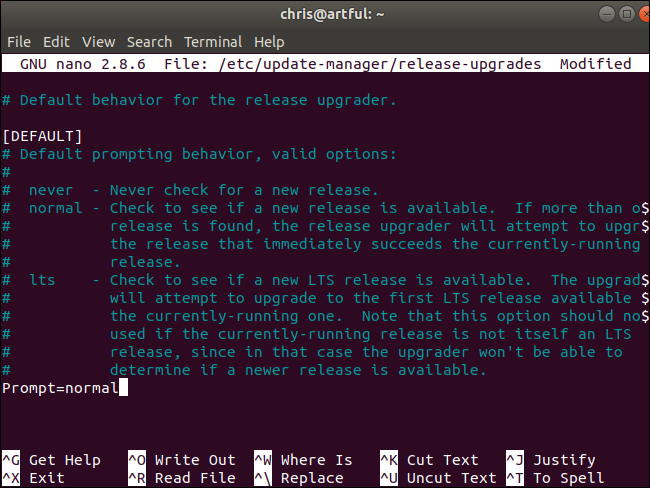 Before we proceed on how to upgrade your Ubuntu using terminal method, let's take a look at how to choose which version to upgrade to first. Unlike the previous method (Graphical method) which says standard releases of Ubuntu offer to upgrade you to new standard releases but for LTS (Long Term Service), Ubuntu offer to upgrade you only to new LTS releases, that's just the ish concerning LTS. For instance, if you installed Ubuntu 18.04 LTS, you won’t be offered an upgrade to Ubuntu 18.10 when it’s released, only what you can enjoy is that you will just be offered an upgrade to Ubuntu 20.04 LTS when it's available and it can be changed if you want to. Edit the “Prompt=” line in the file to say either ” Prompt=normal ” or ” Prompt=lts ” depending on whether you want to be prompted to upgrade to normal releases or only LTS releases. For instance, if you are running Ubuntu 16.04 LTS and want to upgrade before July 26—you can download the latest version of Ubuntu from the website and make a bootable USB drive or burn a disc then reinstall Ubuntu on your system.